Evo IV - V - VI There are 32 products. 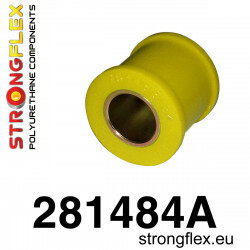 ref: 126141A Material: POLYURETHANE (PUR/PU) Hardness 90ShA Pcs / KIT: 26 Notes: Measure Anti Roll Bush diameter before placing order. To every product we add grease! 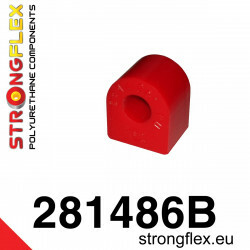 ref: 126141B Material: POLYURETHANE (PUR/PU) Hardness 80ShA Pcs / KIT: 26 Notes: Measure Anti Roll Bush diameter before placing order. To every product we add grease! 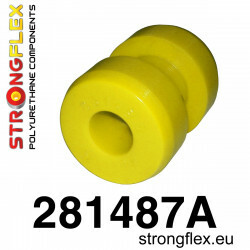 ref: 126139A Material: POLYURETHANE (PUR/PU) Hardness 90ShA Pcs / KIT: 6 Notes: Measure Anti Roll Bush diameter before placing order. To every product we add grease! 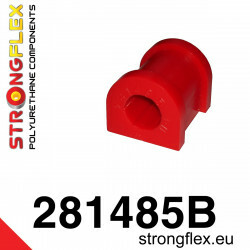 ref: 126139B Material: POLYURETHANE (PUR/PU) Hardness 80ShA Pcs / KIT: 6 Notes: Measure Anti Roll Bush diameter before placing order. To every product we add grease! 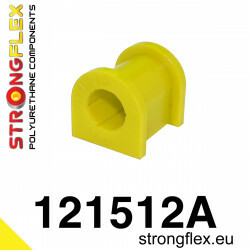 ref: 126140A Material: POLYURETHANE (PUR/PU) Hardness 90ShA Pcs / KIT: 12 Notes: Measure Anti Roll Bush diameter before placing order. To every product we add grease! 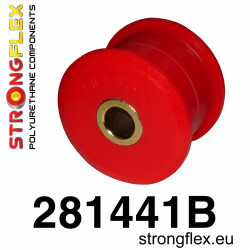 ref: 126140B Material: POLYURETHANE (PUR/PU) Hardness 80ShA Pcs / KIT: 12 Notes: Measure Anti Roll Bush diameter before placing order. To every product we add grease! ref: 121502A Material: POLYURETHANE (PUR/PU) Hardness 90ShA Pcs/prod: 1 Required/car: 2 To every product we add grease! 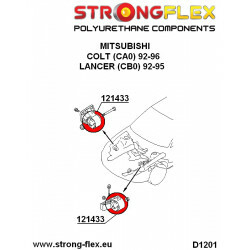 ref: 121502B Material: POLYURETHANE (PUR/PU) Hardness 80ShA Pcs/prod: 1 Required/car: 2 To every product we add grease! 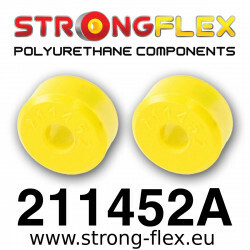 ref: 121472A Material: POLYURETHANE (PUR/PU) Hardness 90ShA Pcs/prod: 1 Required/car: 2 To every product we add grease! ref: 121472B Material: POLYURETHANE (PUR/PU) Hardness 80ShA Pcs/prod: 1 Required/car: 2 To every product we add grease! ref: 121505A Material: POLYURETHANE (PUR/PU) Hardness 90ShA Pcs/prod: 1 Required/car: 2 To every product we add grease! ref: 121505B Material: POLYURETHANE (PUR/PU) Hardness 80ShA Pcs/prod: 1 Required/car: 2 To every product we add grease! 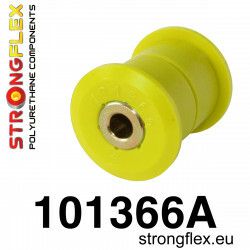 ref: 121513A Material: POLYURETHANE (PUR/PU) Hardness 90ShA Pcs/prod: 1 Required/car: 2 Notes: Measure Anti Roll Bush diameter before placing order. To every product we add grease! 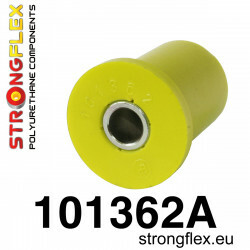 ref: 121513B Material: POLYURETHANE (PUR/PU) Hardness 80ShA Pcs/prod: 1 Required/car: 2 Notes: Measure Anti Roll Bush diameter before placing order. To every product we add grease! 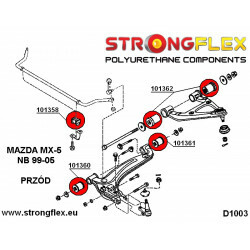 ref: 121503A Material: POLYURETHANE (PUR/PU) Hardness 90ShA Pcs/prod: 1 Required/car: 2 To every product we add grease! 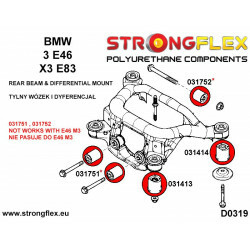 ref: 121503B Material: POLYURETHANE (PUR/PU) Hardness 80ShA Pcs/prod: 1 Required/car: 2 To every product we add grease! 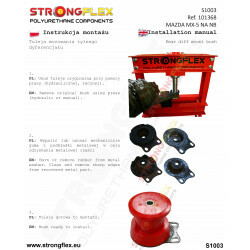 ref: 121500A Material: POLYURETHANE (PUR/PU) Hardness 90ShA Pcs/prod: 1 Required/car: 2 To every product we add grease! 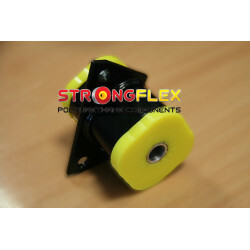 ref: 121500B Material: POLYURETHANE (PUR/PU) Hardness 80ShA Pcs/prod: 1 Required/car: 2 To every product we add grease! 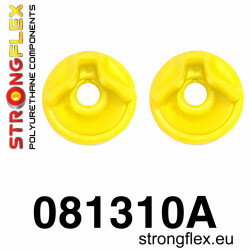 ref: 121511A Material: POLYURETHANE (PUR/PU) Hardness 90ShA Pcs/prod: 1 Required/car: 2 To every product we add grease! 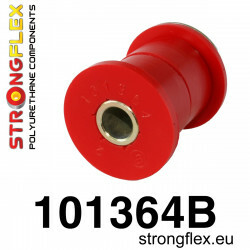 ref: 121511B Material: POLYURETHANE (PUR/PU) Hardness 80ShA Pcs/prod: 1 Required/car: 2 To every product we add grease! ref: 121464A Material: POLYURETHANE (PUR/PU) Hardness 90ShA Pcs/prod: 1 Required/car: 2 To every product we add grease! 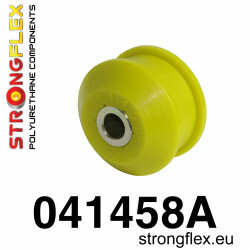 ref: 121464B Material: POLYURETHANE (PUR/PU) Hardness 80ShA Pcs/prod: 1 Required/car: 2 To every product we add grease! 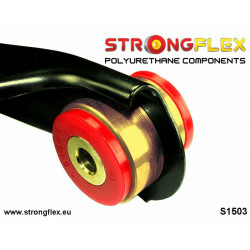 ref: 121501A Material: POLYURETHANE (PUR/PU) Hardness 90ShA Pcs/prod: 1 Required/car: 2 To every product we add grease! 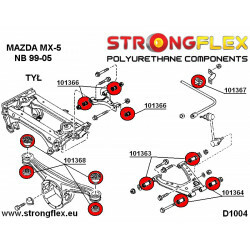 ref: 121501B Material: POLYURETHANE (PUR/PU) Hardness 80ShA Pcs/prod: 1 Required/car: 2 To every product we add grease! 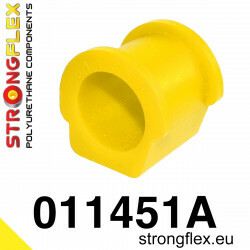 ref: 121512A Material: POLYURETHANE (PUR/PU) Hardness 90ShA Pcs/prod: 1 Required/car: 2 Notes: Measure Anti Roll Bush diameter before placing order. To every product we add grease! 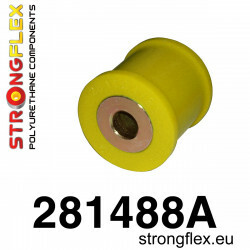 ref: 121512B Material: POLYURETHANE (PUR/PU) Hardness 80ShA Pcs/prod: 1 Required/car: 2 Notes: Measure Anti Roll Bush diameter before placing order. To every product we add grease! 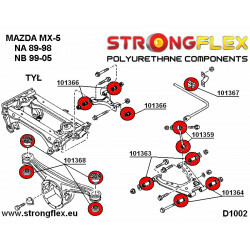 ref: 121507B Material: POLYURETHANE (PUR/PU) Hardness 80ShA Pcs/prod: 1 Required/car: 1 To every product we add grease! 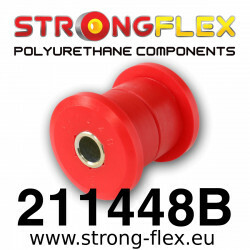 ref: 121471B Material: POLYURETHANE (PUR/PU) Hardness 80ShA Pcs/prod: 1 Required/car: 1 To every product we add grease! 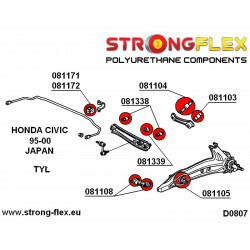 ref: 121506B Material: POLYURETHANE (PUR/PU) Hardness 80ShA Pcs/prod: 1 Required/car: 1 To every product we add grease! 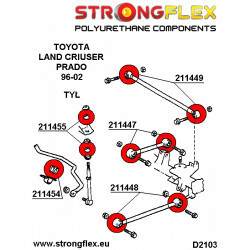 ref: 121515B Material: POLYURETHANE (PUR/PU) Hardness 80ShA Pcs/prod: 1 Required/car: 2 To every product we add grease! ref: 121504B Material: POLYURETHANE (PUR/PU) Hardness 80ShA Pcs/prod: 1 Required/car: 2 To every product we add grease! 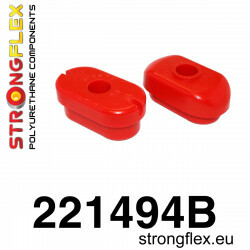 ref: 121473B Material: POLYURETHANE (PUR/PU) Hardness 80ShA Pcs/prod: 1 Required/car: 2 To every product we add grease!